Johnny Spero welcomed two babies into the world, six days apart. 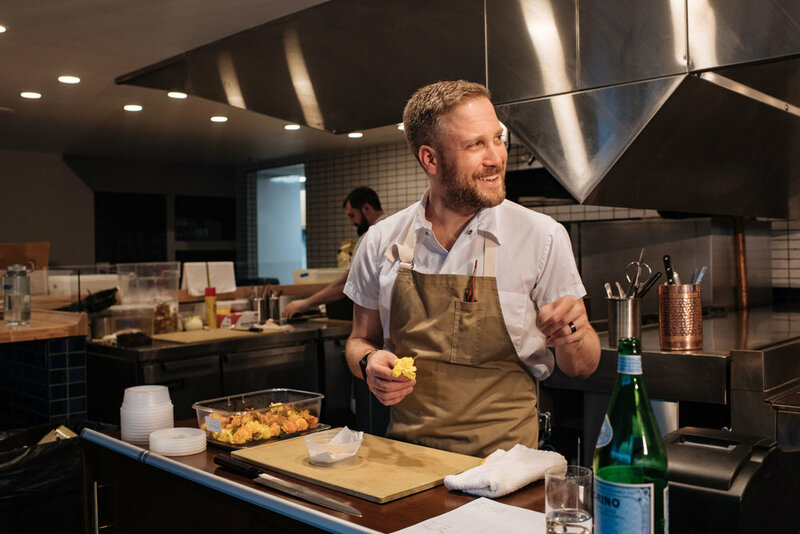 In mid-October—less than one week after opening his own restaurant, Reverie, in Georgetown—the chef’s wife gave birth to a baby girl named Fiona. It’s been a whirlwind year, preceded by both happenstance and hard work. Johnny got his first taste of the restaurant industry at 15—forced to work as a busboy if he wanted his driver’s license. The Baltimore County native didn’t have the attention span for school, but found his tribe in the kitchen. By the time he was 18, Johnny’s parents gave him an ultimatum: Go to college, or find a new life plan. They wouldn’t allow him to pursue a career without a piece of paper representing his commitment. Johnny enrolled in culinary school to please his parents, but says it wasn’t until two years later that he embraced his true potential. He spent days, weeks, and months with like-minded chefs, working in their kitchens and gaining the life experience he couldn’t attain in school. Johnny eventually outgrew the Baltimore dining scene, but didn’t have the money to move to New York City. Former French Laundry chef Eric Ziebold had recently opened the critically acclaimed CityZen at the Mandarin Oriental Washington. A huge fan of his work, Johnny decided to move to DC and follow suit. 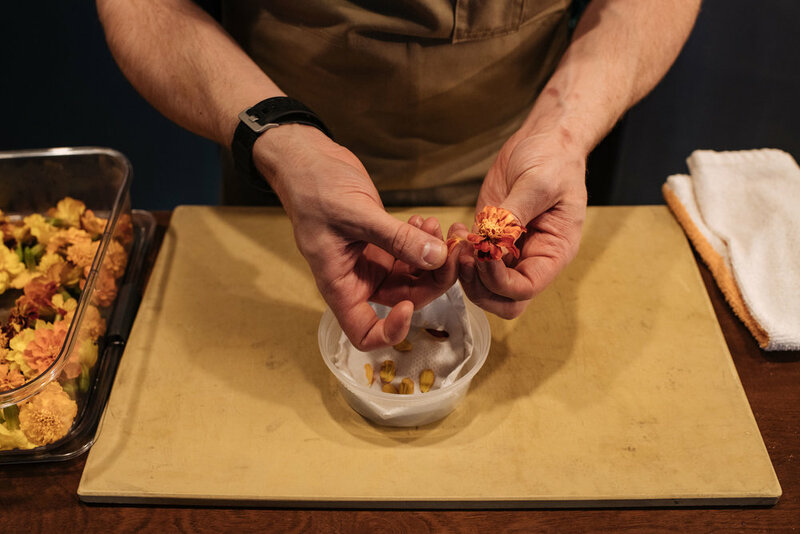 After stints at Farrah Olivia and Komi, followed by a restaurant of his own that closed after five months, Johnny made a name for himself as head chef at Jose Andres’ minibar. Then, at the height of his success, he moved to San Sebastian, Spain, to work as an unpaid apprentice at a Michelin two-star restaurant. Johnny spent a year in Spain, and considered staying indefinitely. But as he began toying with the idea of opening his own restaurant again, he couldn’t imagine doing it anywhere else than DC. By the time Johnny returned to DC, everyone restaurateur was opening in Shaw. He thought the market was oversaturated, and turned his attention to Georgetown—a surprising choice to many. Yet another surprising choice, Johnny ditched M Street for an unmarked cobblestone alleyway off of Grace Street. He says the location creates an experience before you even get to the front door, attracting people who want to be there. Reverie’s approachable, open kitchen lends itself to that, with regulars requesting a counter seat near their favorite chef. Johnny says it also gives his cooks a voice, creating an incubator space with room to grow. Their name may not be on the restaurant, but they play a crucial role in its success. While the opening kept Johnny busy, his daughter kept him honest. Johnny says her birth changed the dynamic of the kitchen and forced him to adopt a new work-life balance that he preaches to the staff. No one works 90 hours a week, and everyone gets two days in a row off. The pressure to provide is the greatest motivator for Johnny. Fiona made him think about the bigger picture—namely, how he can the last the length of his lease to take care of his family. As Reverie nears its six-month anniversary, Johnny is happy, but never satisfied.